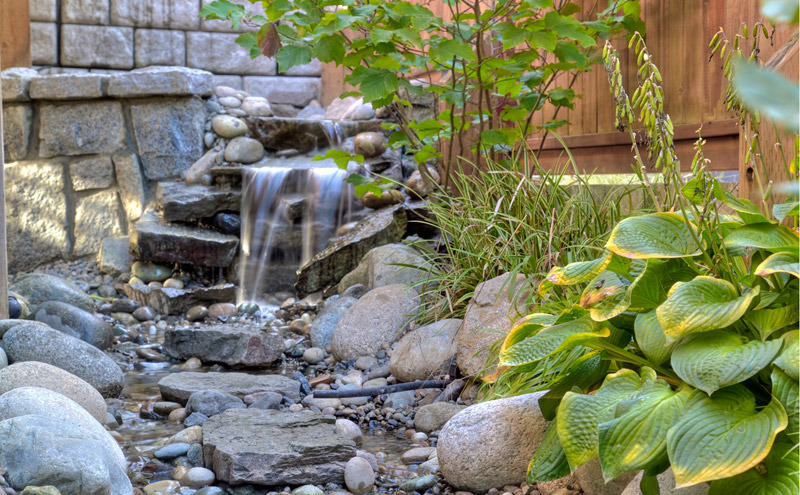 When it comes to landscaping, a mix of 'the elements' can go a long way for a pleasing design. 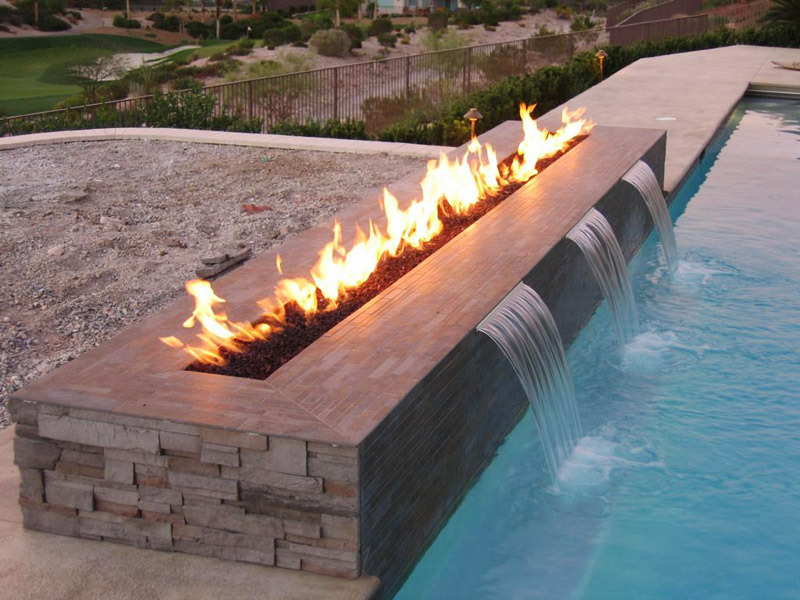 Here is a combination of fire and water. This particular Vancouver home was on a busier than normal stree which created traffic noise. 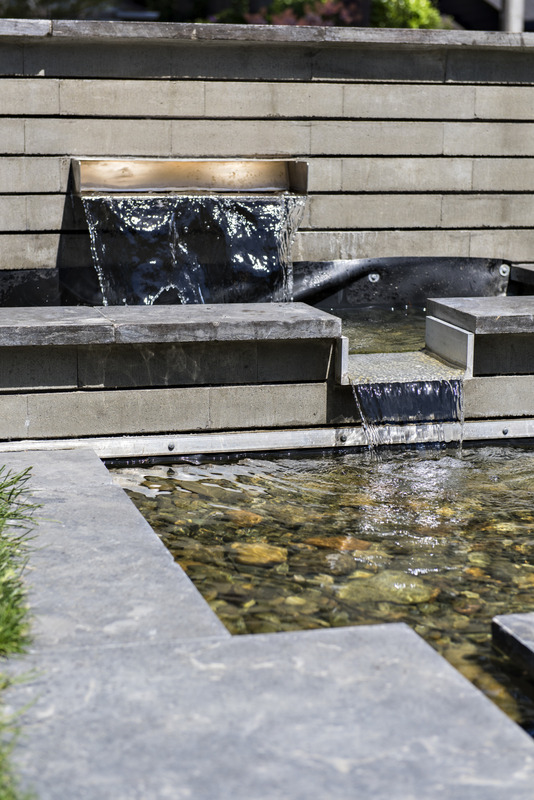 For this landscaping project, West Coast Modernscape created five 12' waterfalls in the front of the house to not only enhance the landscaping however to, drown out (pardon the humour) some of the street noise! And it worked very effectively. 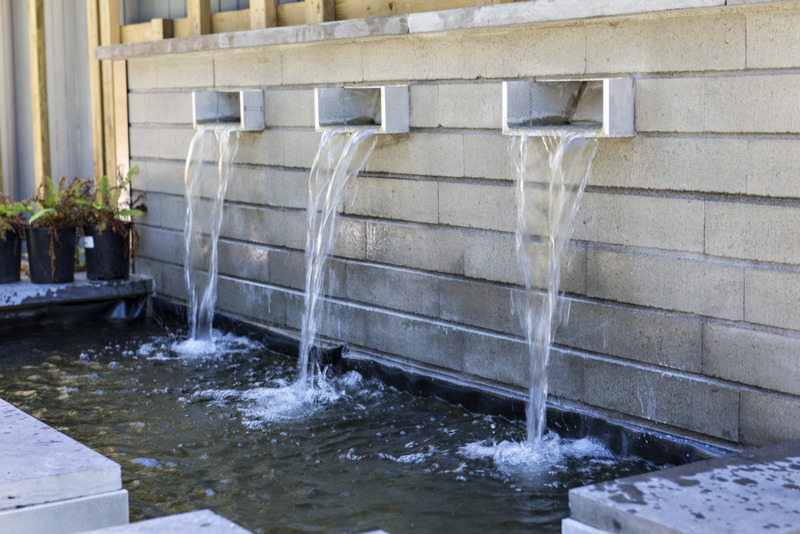 This particular water feature blended in beautifully with the rest of the landscaping project where by the water ran down paralell to the walkway and under the decking creating an absolutely beautiful ambiance. 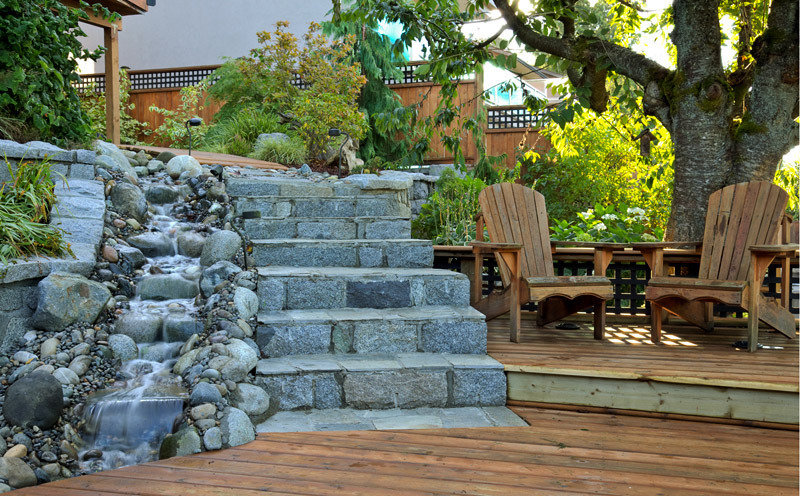 This is the upper section of a waterfeature that ran paralell with a walkway and under a decking for a Greater Vancouver Landscaping project. The total distance of the water run was approxiamtely 150'. Vancouver Landscaping Company, West Coast Modernscape water feature in the front of West Coast Modernscape owner, Ray Evenson. This is the back of the decorative address sign that drops the water from the pool into the raised concrete landscaping walkway. 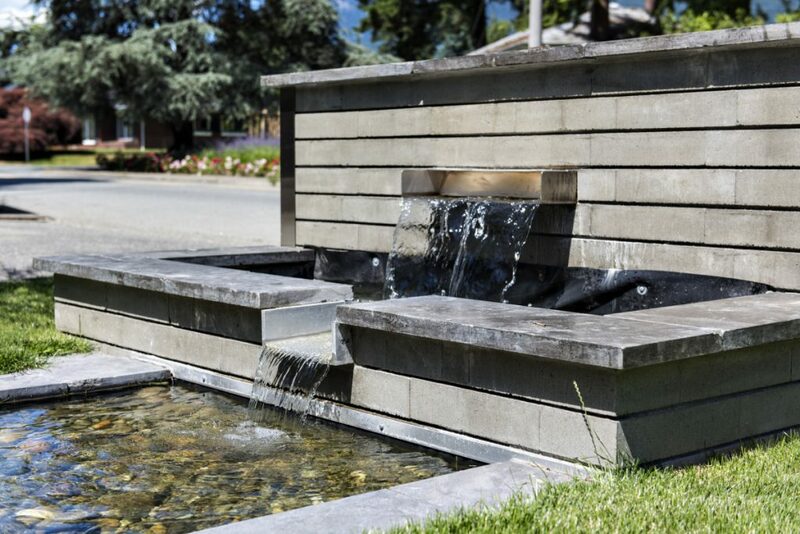 Water feature built into the back of an address sign for West Coast Modernscape Landscaping. 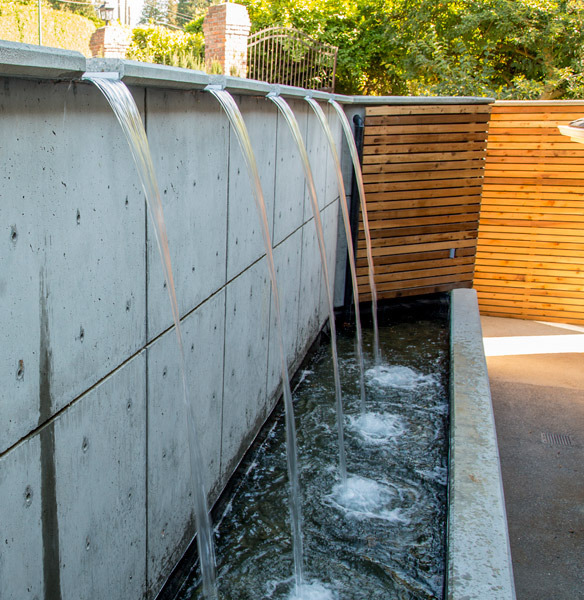 3 Waterfalls built on to the side of the garage at the West Coast Modernscape headquarters located in North Vancouver. Created by Ray Evenson.